How Do We Curb the Insect Apocalypse? If we're serious about stemming the catastrophic decline of insects, we must drastically reduce our pesticide use. That's one of the key findings of a major new scientific study in Biological Conservation. More than 40 percent of insects worldwide are on a fast track to extinction. 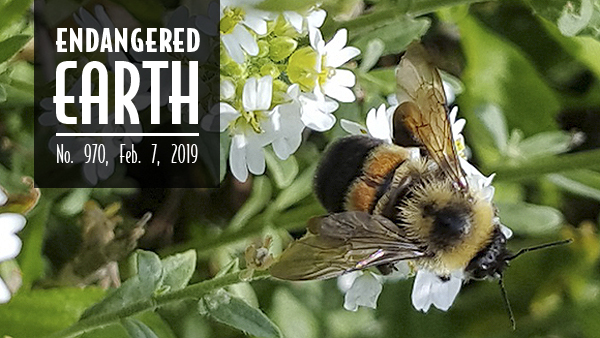 Reversing their decline requires an urgent push to replace widespread, harmful synthetic pesticides and fertilizers with ecologically based, sustainable farming practices. "Insects are the foundation of every healthy ecosystem," said Tara Cornelisse, an entomologist at the Center for Biological Diversity. "We need to quit poisoning landscapes with millions of pounds of toxic pesticides every year." Read more and learn about our work to curb dangerous pesticides. The Center and Maricopa Audubon this week filed a notice of intent to sue and compel the U.S. Fish and Wildlife Service to expand critical habitat for Arizona's highly endangered Mount Graham red squirrel. Only about 75 are left on Earth. The squirrels no longer live in the area designated as their critical habitat. It's been destroyed by the construction of mountaintop telescopes, wildfires, and fires set to protect the scopes. 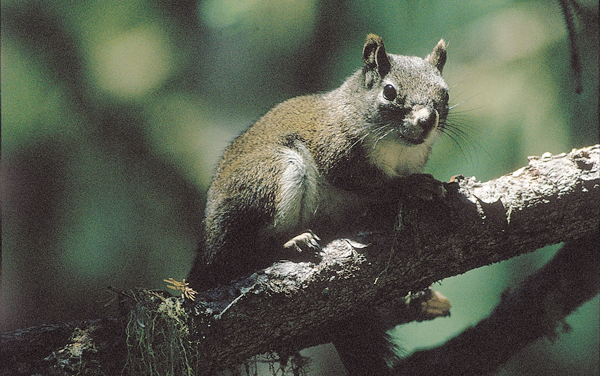 The squirrels' habitat includes spruce-fir forests above 9,200 feet. "With so few Mount Graham red squirrels left, we need to do everything we can to protect their habitat, particularly the only places they now live," said the Center's Robin Silver. The Center and local allies just sued California to protect Humboldt martens. Although the state declared these forest mammals "endangered" after a Center lawsuit, it's about to let the Green Diamond timber company raze their habitat. Fewer than 200 of these furry, ferocious creatures are left in the state — and clearcutting is the biggest threat to their survival. 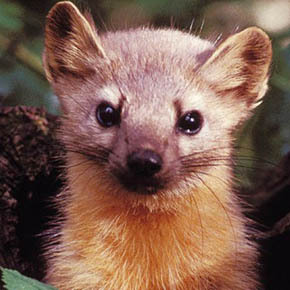 "This move pushes Humboldt martens toward extinction instead of increasing protection for these feisty little fluffballs," said the Center's Tierra Curry. Read more. Great news: The annual count of monarch butterflies wintering in the warmth of Mexico right now shows an increase of 144 percent from last year's count — the highest count since 2006. But to make sure monarchs survive, we must give them more protections. Last week Center staff who work on these butterflies' behalf visited one of their Mexico wintering sites, where they took some amazing footage. Watch it on Facebook and YouTube. 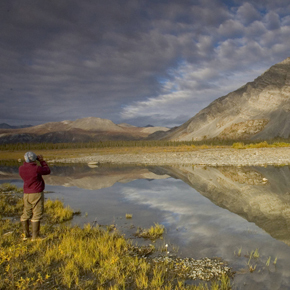 The iconic Arctic National Wildlife Refuge is home to the massive Porcupine caribou herd and scores of other species. It's also vital to the cultures of people like the Gwich'in. But President Trump is determined to turn this gem of the Far North into an oilfield. In the name of corporate profits, he's steamrolling over passionate public support for the refuge. 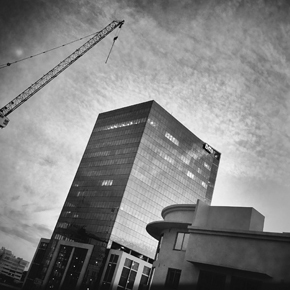 Read this essay in The Revelator and sign up to receive The Revelator's weekly newsletter. A treatment facility owned by JBS, one of the largest U.S. beef companies, processes millions of gallons of wastewater annually from two slaughterhouses in Greeley, Colo. For years it has been illegally discharging that water — which contains pathogens, ammonia and excrement — into a tributary of the South Platte River. The pollution threatens people's health and the survival of an endangered fish called the pallid sturgeon. So the Center and allies have notified the company of our intent to sue over its illegal dumping. "It's disgusting that JBS has been allowed for years to treat Colorado's waterways as a sewer for dangerous meatpacking waste," said Hannah Connor, a Center attorney. "The company needs to clean up its filthy act." According to new U.S. Census Bureau estimates, more than 328 million people rang in the new year in the United States. That's an increase of more than 2 million over the previous year — and it's taking a toll on wildlife and wild places. Since nearly half of all U.S. pregnancies are unintended, states can help by improving access to family planning and reproductive healthcare. They can also adopt land-use planning and development policies that protect habitat and embrace renewable energy and efficiency. Read more. Coyotes are known for their striking golden-brown eyes. But in California, recent photographs of five coyotes with brilliant blue peepers have researchers looking into this rare phenomenon. 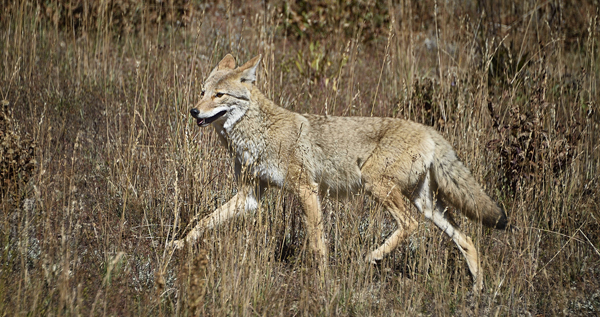 Find out more about California's blue-eyed coyotes at Smithsonian magazine. Photo credits: Rusty patched bumble bee by Tamara Smith/USFWS; Mount Graham squirrel (c) Robin Silver/Center for Biological Diversity; American pine marten (a close relative of the Humboldt marten) courtesy USFWS; monarch butterflies by Patrick Donnelly/Center for Biological Diversity; Arctic National Wildlife Refuge by Steve Hillebrand/USFWS; pallid sturgeon by Rob Holm/USFWS; condominium construction by GD/Flickr; coyote by dianasch/Flickr.